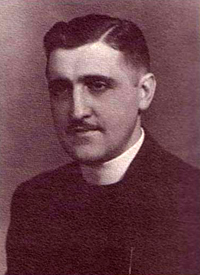 Pastor Frank Joseph Bauer, was born in 1919. He attended Concordia Collegiate Institute in Bronxville, New York, and he was graduated from Concordia Seminary, St. Louis, Missouri, in 1943. He was married to Jean Elizabeth Helman in 1943. The Bauers were blessed with three children, John, Mary and Anne. From 1943 to 1947 Pastor Bauer served as Pastor of Zion Lutheran Church in Owego, New York, and from 1947 to 1954 he served as pastor of Immanuel Lutheran Church in Olean, New York. In 1954, Pastor Bauer accepted the call to become pastor of Wollaston Lutheran Church. 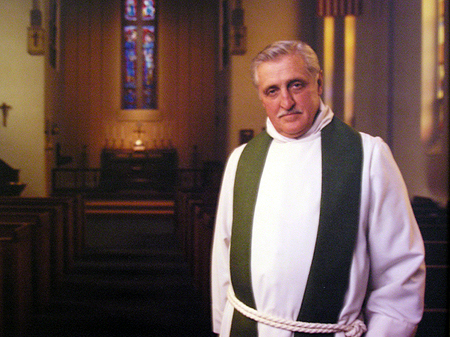 In 1958, Pastor Bauer was appointed part-time chaplain in the United States Veterans Administration to serve at the Jamaica Plain and West Roxbury Medical Centers, a position he held for 21 years. In 1959, he was appointed Chaplain to the Ancient and Honorable Artillery Company of Massachusetts (chartered in 1638), a position he held for over 25 years. 1965, he began service as Protestant chaplain to the Massachusetts State Police, a position he held for some two decades. Pastor Bauer also served for 27 years as chaplain with the U.S. Army National Guard, retiring with the rank of Colonel in 1977. He was promoted to the State rank of Brigadier General by Govenor Edward J. King. Around the time Pastor Bauer began serving as pastor, the congregation's Christian Day School classes located in the church building numbered some 115 students. The congregation sought to raise funds for a separate Christian Day School Building on the Fenno property next to the church, but the request for funding was turned down by the Atlantic District, and in 1966 the Christian Day School was ordered closed by the Massachusetts Department of Public Safety. At that point Pastor Bauer inspired the congregation to mortgage the church building and purchase the remaining Fenno property in order to sponsor, build and operate a federally-funded housing for the elderly. In 1971, construction began on Fenno House, a six story, 154-unit apartment building. A few years later Pastor Bauer initiated the congregation's application to HUD for funding to build a second 150-unit apartment building, and in 1977 Town Brook House was constructed at a cost of $7 million. Pastor Bauer was named "pastor emeritus" of Wollaston Lutheran Church in 1983 when Pastor Adolph Wismar, Jr. arrived to begin active pastoral duties. Pastor Bauer's third application to construct HUD funded senior housing succeeded in 1994 when $5.9 million was awarded for construction of a 75-unit apartment building for low income elderly to be named in the Bauers' honor. Bauer House was dedicated in 1996. Mrs. Bauer passed away on August 26, 2005. Pastor Bauer followed to join her in God's heavenly kingdom on December 7, 2006.